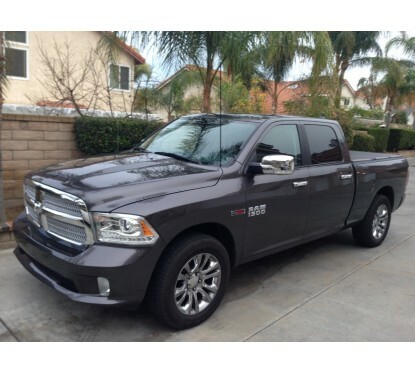 This is a complete CB antenna kit for the Ram 1500/2500 (2009-2018) trucks. 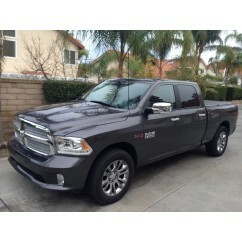 This is a complete CB antenna kit for the Ram 1500 trucks (2009-2016). It will fit all trim levels and cab configurations. 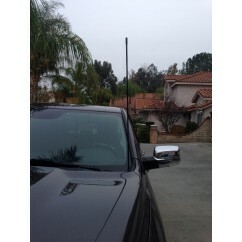 The best engineered CB antenna installs will take advantage of a large metal reflecting ground plane surface. 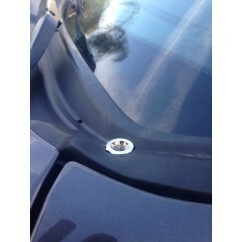 With this ideal mounting location, the antenna can use the surface of the cab and hood to achieve optimum results. 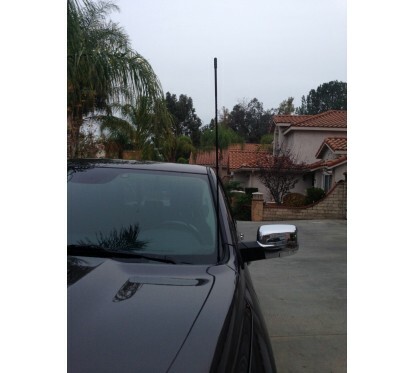 In addition, no one wants to install an antenna that stands out or looks ugly when installed. With this new, Cool Tech LLC, "UltraMount", the antenna looks OEM. When you do not plan to use your antenna, you can simply remove it. The mounting location remains very concealed and the coax connections are hidden from sight and protected from the weather. 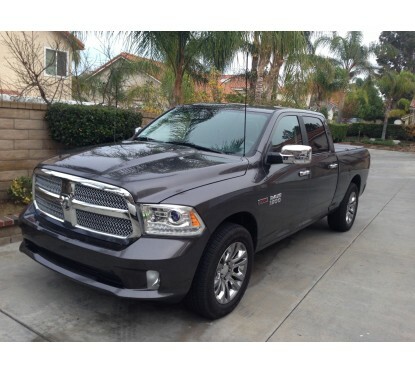 Included in each kit is a heavy-duty all stainless steel mount designed exclusively for the Ram trucks. The mount was designed to last the lifetime of the truck (hence the stainless steel construction and hardware), achieve a perfect ground, and be easy to install for the do-it-yourself owner. Also included is Firestik's newest, top-of-the-line coax with their patented connectors. On the antenna bracket end you will have the Firering connector - enabling us to have a concealed bracket. 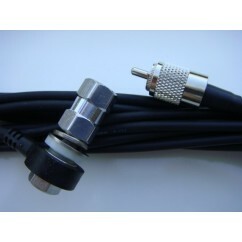 On the other end of the coax is a mini-UHF connector that is almost the same size as the diameter of the coax itself. The purpose of this is to make routing of the coax into the cab as easy as possible. Once routed, you simply thread on a mini-UHF to PL-259 adapter, and you are done. No soldering is required! 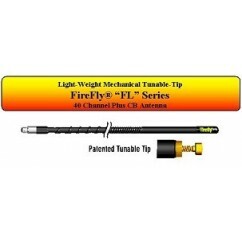 Rounding out the kit, we've also included Firestik's latest Firefly antenna with an adjustable tuning tip. These antennas have a lot of flexibility but they will NOT move around in the wind. The complete, color illustrated instructions will guide you through the installation process. Installation time is about 30 minutes. 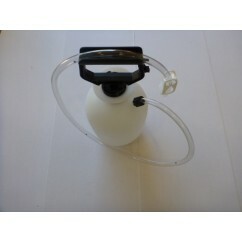 This UltraMount kit is a blend of a superior design with top quality components. All aspects of the UltraMount have been carefully engineered for ease of installation and years of reliable service. 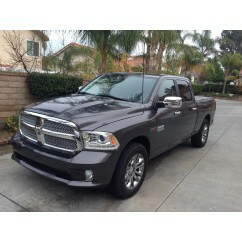 Shipping Information: The RAM UltraMount Antenna Kit ships via FedEx Ground. Email sales@cooltechllc.com for international or express shipping inquiries. Stainless Steel Bracket - Some vendors offer brackets in less expensive steel construction with a powder coated finish. The problem with quality powder coats is that they are a very effective insulator. Fundamentally, an antenna bracket needs to provide a good conduct to ground. The HD Mount's all stainless construction combines superior conductivity along with proven longevity. The UltraMount is a complete kit. You do not have to shop separately for a mount, mounting hardware, coax, and antenna and then hope everything works well together. Some antennas are too heavy for some mounts and other antennas may be too thin and can "wag" continuously when your truck is at speed. The UltraMount kit is packaged with one of FireStik's most recent antennas and has been tested under all conditions on a Ram truck. 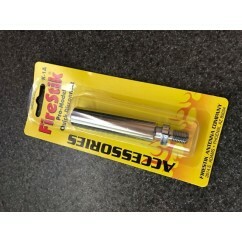 The included Firestik antenna is a state-of-the-art 3' fiberglass shaft antenna with a tunable tip. With the UltraMount kit you can tune the SWR reading to a very, very low level allowing you to get the maximum range from your CB. 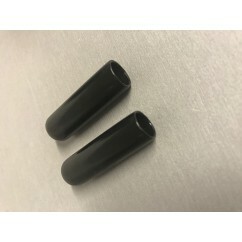 The best coax & and; connectors - Often times, mounting the antenna is only half the battle with traditional antenna installations. A challenging task is to find a suitable location to route the antenna wire and to thread it through sometimes challenging areas. This has been solved with the UltraMount. On one end of the cable you have FireStik's revolutionary FireRing. On the opposite end, the coax has a mini-UHF connector. Route the coax using the supplied instructions (super easy!) and simply screw on the supplied PL-259 adapter. No Soldering! Speaking of coax routing - both the antenna bracket and the coax routing are completely concealed. There is a much reduced chance of vandalism or an unlucky contact with a tree branch, brush or shrub while 4-wheeling. Ideal Mounting Location - The UltraMount locates the antenna in an ideal, factory-like location. 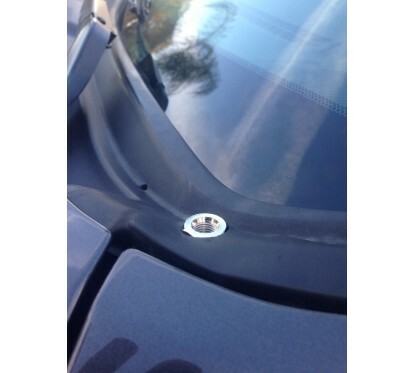 While it is easy to install/remove the antenna when needed, the installed appearance is so OEM-like that you will likely just leave the antenna installed. If/when you decide to remove the antenna; it can be un-screwed in about 5-seconds! Detailed, highly color- illustrated instructions - Each UltraMount kit is shipped with detailed, highly illustrated instructions. Mounting your new antenna and routing the cable up to your CB should take no more than 30 minutes! Unique, completely hidden, CB antenna mount.